Once you have decided on balloons, you need to be able to rely on your chosen balloon decorator not to let you down. At Seasons we are trained decorators, who use only the best quality balloons and accessories. Our experience gives you the peace of mind to know you can leave everything to us. With Seasons you are not JUST buying balloons; you are buying our KNOWLEDGE, EXPERTISE and RELIABILITY. Why pay extra for us to decorate on site ? 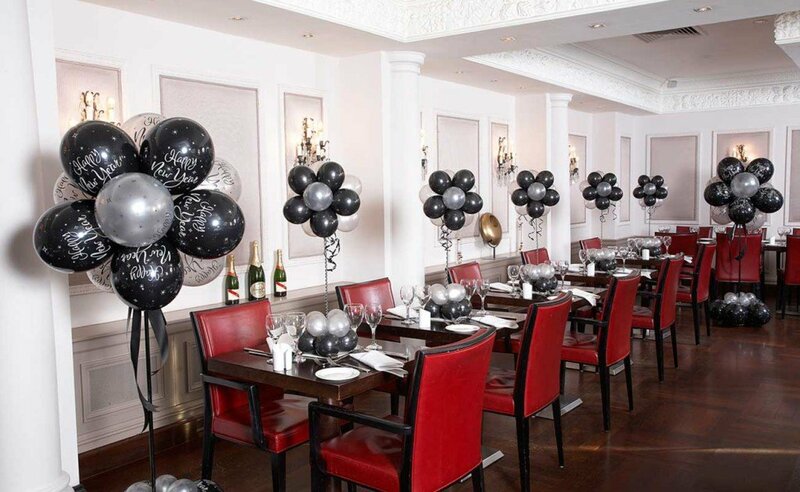 Due to the float time of all balloons the room must be decorated on the day of your event, by leaving it to us you can be sure the balloons will be looking their best when your guests arrive. You can avoid any tangles or damage to your base caused by transporting the display as we always construct on site. By constructing on site we can ensure the balloons complement the size of your room without obstructing anybodies view.